I hadn’t thought about Monte Roberts for years, and that’s why last week after seeing the Lincoln Center’s production of WarHorse, I was surprised to see in the Lincoln Center Review, how much they credited him for the success and power of the play. It differs from the current film in that all the horses are full size “puppets” controlled by actors inside them. But their behavior is so realistic that even living horses have believed they were real. How could that be? For those not familiar with his history, Monty Roberts became known for his revolutionary work with horses, Possibly because of a novel and movie by the name, many people refer to him as a “horse whisperer.” But the actual title of his book refers to a Horse LISTENER — “The Man Who Listens to Horses” – and as it turns out it’s the difference that makes the difference. Here’s how, at the time, we described and used it to raise questions that would provide a different context for the content we would offer. The difference between a “Horse Whisperer” and a Horse LISTENER is the real power of what Robert’s work means for all of us who attempt to influence behaviors of living systems. How much of teaching is “talking” and how much is “listening?” Think of the teachers who most influenced you. Was it the content they delivered or what they seemed to understand about you? How, and where, are those two “teaching skills” connected? By going with the flow of the process already pre-wired in the brain he proved that changed behaviors can be effective, sustainable, and accomplished in far less time (from three-months down to 30 minutes) than any of the traditional way’s people have used to teach (or “break”) horses. • How does his Join-up process –(first engage, and establish trust; then use that trust to support interaction; and out of these interactions begin to develop an intrinsically-driven relationship that becomes the support of all “work” that may follow) — compare to what you know about effective teaching and coaching? • How does his “simple” logic — starting with the learner you have with its already embedded learning structure, then reinforcing it, and using that capacity to develop what you don’t have — relate to the beliefs and strategies underlying other effective approaches to individual and organizational change? For instance, doesn’t developmentally-appropriate education start with a similar “catch-them-doing-something-right” principle? And if you know about organizations and communities using OD approaches such as Appreciative Inquiry, Assets-based Community Development, or Positive Deviance” … aren’t they starting at the same place? • In his book, one can see that to develop understanding and acceptance of his way of “breaking” horses, Roberts had to address several conditions that similarly get in the way of understanding these learning/teaching processes in schools. The old ways still “seem” to work. They take longer and cost more though, and increasingly people are beginning to realize that they have “consequences.” For example, what is “broken” in traditional horse-breaking is not the horse, but its “will.” The consequence is loss of the horse’s spirit. Most people don’t understand the nature of learning as a natural process. Until the advent of scanning technologies in recent years, we’ve had no way to “listen” to the brain. School structures we have all accepted, and continually try to improve, turn out to be like almost all other organizational structures — they require unnatural behavior of consenting adults…and children. Unfortunately, this new knowledge isn’t easy or natural for many people to accept because it requires a shift of fundamental beliefs. Today, as the public and profession have been learning about how the mind learns — the fundamental truths about the “wiring” of living beings — it is primarily believed to be something that applies to children’s minds. Just another “theory” that adults need to be “trained” to apply. 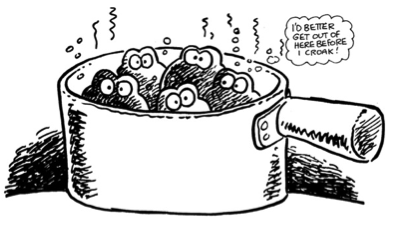 But if, like Oz’s Scarecrow, adults in schools discovered they too “had a brain,” how could this knowledge be applied to intrinsically drive needed changes in teaching and schooling processes? Roberts’ book tells the fascinating story of the key role played by Queen Elizabeth in moving his concepts to the fundamental belief level throughout a nation. One can’t read it with out seeing connections to the types of resistance to educational approaches that derive from lack of acceptance “at the top” of a fundamentally-different way of seeing and understanding the problem. Importantly. the book also contains critical insights for overcoming that resistance. Most relevant, the Queen’s transformation – now there was no way she would allow any of her horses ever to be trained the old way — was “results”-driven. But, as opposed to education’s focus on disconnected results, the Queen could see “results” and the consequences of the results. Where, outside of schools today, can one find credible believers to make the case for approaches whose consequences are an integral part of the results being monitored? Which approaches today have consequences important enough to bring people to the leap-of-of belief similar to the Queen’s? How might they be mobilized to help schools and communities recognize the immediate relevance of these ideas for their children? Re-reading these words and questions today, after twelve years watching that system of kids and adults exploring their own answers, I had some new personal ah-ha’s. 1. While others have credited me with being a “system’s thinker,” I had seen myself as more of a pattern-seeing, “system’s see -er because of the particular lens I had been peering through. Elsewhere on this site it’s described as a Systemic Leadership and Management Lens and referred to metaphorically as Alice’s Looking Glass. But now I could see that, like Roberts, I had become a system –listener. My hundreds of pages of notes taken over the years were driven by two questions: “What’s happening here?…and Why?” And it was clear that the power of the processes they developed to support the work of learning and teaching were driven by their capacity not just to listen to each other, but also to prove by their subsequent actions that they had heard. 2. And recalling Roberts’ beliefs makes me even more convinced that the type of top leadership change that causes other school systems to default to traditional ways of doing their work isn’t going to happen in Montgomery County. Especially now that the new superintendent has initiated a series of community and school system wide “Book Clubs” aimed at developing the capacity to “listen” and understand what it is that “comes naturally” to children and adults. As an example, their first two books — Carol Dweck’s Growth Mindset, and Daniel Pink’s Drive: A Whole New Mind – The surprising truth about what motivates us — share in common the intent to develop a way of understanding required to be able to “listen” to human being’s doing what comes naturally. The hope, I surmise, is for them use this understanding as a new way-of thinking to frame the work they do. And then, within that new “paradigm,” to develop better ways to continually sustain and support those “given” intrinsic, natural processes. “What one thing is impossible to do today, which if it could be done, would fundamentally change your organization for the better? Check out the above “One Thing” link for some of my old thoughts that suggest why MCPS may be on the edge of that possibility. Since his recent death, David Broder’s eulogies seemed to cite a common insight about his unique success as a reporter. He could move back and forth between in-the-clouds issues faced by policymakers in Washington, and the on-the-ground issues faced by practitioners around the country …and at both “levels” his stories seemed to capture their meaning for the people involved. Broder’s dual focus played a unique role in the development of this Sabusense site’s content about the journey of the Montgomery County Public Schools that led to its recent recognition as the recipient of the 2010 Malcolm Baldrige National Quality Award for “performance excellence through innovation, improvement, and visionary leadership.” And, at the same time, to its acknowledgment as a finalist for the Broad Prize for Urban Education as one of the five best large districts in the nation for improving student performance while narrowing academic achievement gaps. Here’s the story that several articles that Broder wrote in 1999 and 2000 “helped” write. When you are a “big picture” thinker viewing problems from a 20,000 ft. perspective, one of the slow-to-recognize truths that emerges is that, regardless of the different relationships and patterns your “bigger picture” enables you to see, you are still looking at what’s happening everyday “on the ground.” And it’s often hard to connect the two. That’s why several articles that Broder wrote in 1999 and 2000 produced a light-bulb moment that helped me make sense of a problem I was having making that connection. Because of his deep interest in education and effective governance, he had visited two “Baldrige”-using school systems — the Brazosport School District in Texas and one school in the Pinellas County Schools in St. Petersburg, FL. – the Azalea Elementary School. But in both, a reader could understand both policies and programs in term of their meaning for kids and the adults who interacted with them every day. At the time I led AASA’s Quality Schools Network, and was on the Executive Working Group of National Alliance for Business’ BiE IN (Baldrige in Education Initiative). In both roles, I had been struggling with how to address the bipolar perceptions of what the Baldrige process was — i.e., some saw it as something to impact what the system does, and others to impact what the kids do. It’s interesting to look back now at how that year 2000 thoughtpiece began and ended. “People who care about children today, and those who care about how they must be to survive tomorrow, get excited when they see certain things happening in school systems that say they are “doing” or “using” Baldrige. They see “results,” not only test scores but in changed relationships and roles, especially for children and teachers. They are trying to make sense of what they are seeing happen around “the Baldrige.” And while they like what they see, they can’t quite connect it into a coherent, meaningful picture that can explain why it’s happening. And without the meaning that understanding provides, effective collaborative action is impossible. Specifically, schools are being asked to “buy-in,” and totally accept, something called “Baldrige” by significant others who can’t clearly tell them what this “thing” is. Baldrige advocates point to classrooms, or school sites (and in only a very few cases districts) where significant and different results are apparent. These “results” are not only test scores, but the way children joyfully take control of their own learning, and teachers creatively find they can meet needs of all children, not just some. And then the paper “promised” in a footnote that there would be answers to that challenge in a subsequent section. “(The next section of this In-Process think piece addresses how a school district could leverage the Baldrige processes to develop an Integrated Learning Management System — an infrastructure, or scaffold, that would support its continual improvement from the inside-out. And while unfortunately I don’t have David Broder’s reportorial skills, I’ve used what he taught me about how to make sense of the actions of people trying to make a difference through seemingly disconnected policies and practices to tell the story of its development as a single story that doesn’t have “tops” and “bottoms” but as a connected whole. It’s a story in process, but for those interested, leads to much of it are embedded already throughout this site. And what I’ve been learning is that this type of coherent story-telling isn’t as easy as David Broder made it seem. But that’s why we honor him. Posted: March 29th, 2011 under Understanding the System. A New Year always offers an opportunity to reflect on what we’ve been doing and, if not satisfied, resolve to do better. That’s why I’m applying that learning process here to the continuing development of this Sabusense website … I’m frustrated. This cartoon captures one reason why. How far along are we in terms of its fundamental purposes? What is different now than when we launched it? And what, if anything, can we do about it now? Sabusense is intended as a response to an almost universally-felt – but seldom acknowledged — problem today. A glance at today’s news headlines reveals a common characteristic underlying the nature of the most critical economic, social, political, international problems that challenge the problem-solving abilities of policymakers, pundits and practitioners – they can’t make sense of the seemingly-disconnected events swirling around them. They must respond to conditions that were unthinkable in the past, yet often lack a capacity to think about the unthinkable. – to “connect-all-the-dots” — so they can make sense of a way-of-working together to develop the learning capacities of each and every child in a school system. – to tell the case-story of how the Montgomery County, MD Public Schools (MCPS) has actually been doing that …but in a way that challenges the prevailing beliefs that being able to “connect all the dots” to systemically address the learning needs of all children is an “impossible dream.” That shows how its not just an idealistic visionary “hope” requiring time and resources schools do not have, and which will shift the focus of available resources from the urgency of the problems some children face today. – and to present that story in ways that focus on the body of systemic practices developed by MCPS which demonstrate that the scale and nature of this systemic transformation is not only “possible” …but can be “probable” in any district setting. Most relevant is that the school district that serves as the reality check on the ways-of-thinking embedded in this site, now can be formally “outed.” We’ve purposefully downplayed its name until now to not lose the attention of those who might discount their efforts because of their demographics, the quality of the personnel they attract, or the belief that their success can be explained by the “Great Man/Woman” theory of leadership. • The “outed” school system is the Montgomery County MD Public Schools (MCPS). Until recently, it’s accomplishments – termed “miraculous” by some because they were unexpected in a district of that size, complexity and diversity — had been the subject of separate research by foundations and reform groups trying to understand and promote systemic change (among them – Panasonic, Annenberg, Stupski, Harvard Business School, American Productivity & Quality Center). Yet, their attempts to benchmark MCPS’ “What’s” and “How’s” have thus far not proven useful for the wider transfer of knowledge they had hoped for. The otherwise-excellent content of their studies and reports (several are included in this site’s Resources section) seemed to lack a needed coherence that could connect all their “dots” and “results” to the common “Why” underlying the purposes of all schools. One common reason: their Theories of Change lacked a “theory” that could explain the scope and nature of what was changing. But several months ago the means and the ends came together when MCPS received national acknowledgment for the ways they have been systemically achieving those unexpected results. As a recipient of the 2010 Malcolm Baldrige National Quality Award, the district was recognized for “performance excellence through innovation, improvement, and visionary leadership.” And as a finalist for the Broad Prize for Urban Education, they were identified as one of the five best large districts in the nation and honored for improving student performance while narrowing academic achievement gaps. No district had ever received both honors. Now the systemic nature of their success raises new problems and new questions in which urgency becomes a critical factor. Questions for those on the national level who recognize the need for systemic reform that can start now, but still can’t find a way to do it. Then questions for the MCPS itself… if their success is to be sustained after the current superintendent retires this year. And finally new questions for me, because I need thinking partners interesting in engaging in a dialogue about ways to help mine the collective wisdom currently accessible in this district and community, and then how best to communicate it in ways that make sense. New problem #1: The MCPS example moves the oft-hoped for goal of “systemic change” from a someday possibility to body of knowledge that offers today’s leaders the greater certainty of probability — a belief in the likeliness that something can occur. This is more than semantics. Few leaders of “whole systems” are willing to bet children’s survival on statistics and research about some effective “parts” of the system. That may be why the “What Works“ research on new “possibilities” is seldom sufficient to initiate systemic changes that in the process could put the “whole” at risk. The MCPS experience, however, suggests that there are effective ways to develop the confidence and capacity needed for a community to support and sustain that risk-taking. Right now, there’s a unique body of critical knowledge in Montgomery County about the actual nature of systemic governance, leadership and management that I think of as their collective wisdom. Its value derives from its vertical depth from the classroom to the boardroom, its horizontal breadth across all professional and non-professional roles, and its practical base of experience-tested knowledge. How can the collective wisdom developed in the system and community be tapped before it erodes? How can this knowledge be generated and made understandable to those in government and foundations who today are putting major thought, effort and funding into more immediate systemic change and have no sense of how MCPS’ approach (a strategy that used the Baldrige process as a catalyst to change thinking) actually relates to their most pressing concerns? How can the MCPS Baldrige award’s “significance” be leveraged when despite increasing pressures on schools for “change” … (1) there’s been a lack of interest by national reform leaders in Baldrige as a tool for re-forming school systems on-the-go. (2) Many education professionals who claim their concern is for the “kids” think of it as a “business” practice? Ironically, Montgomery County demonstrates how Baldrige’s “power” actually lies in its capacity to make the work of child-focused teaching the school systems’ “business.” Clues to this nature were evident back in 2002 when an MCPS elementary principal and I attended the Baldrige annual Quest conference where the first school district got the award. Yet she found more to relate to with the “business” sector winners than education’s. The latter, she thought, didn’t really “get” the nature of using Baldrige as a “way-of-thinking” for systemic change that was beginning to take hold in Montgomery County. (3) And over the past several years there’s been a continuing decrease in superintendent and Board participation in this annual Quest conference which offers a valuable and unique learning experience where current and past awardees share their knowledge. But not all school systems lost interest. Two years ago, like MCPS, the Iredell-Statesville NC Schools award winner also used the Baldrige process as a catalyst to develop a common way-of-thinking about the work of learning and teaching. One of the products of that way-of-thinking in both districts was a development strategy that focused on structures that affect all students, and used the needs of some students as the initial focal point for the district’s continual learning/improving cycle. In both cases that development created an aligned collaborative management structure that could support the sustainable growth in effectiveness of those across the system whose work impacts the processes of student learning. And that may be the reason, I believe, that both districts subsequently received federal Race-to-the-Top I-3 grants to nurture it. And when (4) Proposed 2012 budget cutbacks are forcing the Baldrige program itself to rethink alternative strategies for support. Getting out of the “box” of their present view of Baldrige as a way to improve organizational performance (which it is) might be easier with an understanding of MCPS’ use of the process as a way to improve organizational thinking – the critical context required for creating and sustaining that organizational performance. New problem #2: The Montgomery County superintendent’s pre-announced retirement after 12 years, comes at a time of diminishing state and local resources. How can the community’s selection of a replacement be informed by an understanding of the nature of the connected system that must be sustained to continue holding it all together regardless of the quantity of resources? Traditionally, superintendent turnover results in a “Throwing out the Babies with the Bathtub” condition. The neighboring Washington DC schools offer a continuing example. Every time they throw out a superintendent (seven of the “best and brightest” in the last decade) they also throw out the “bathtub” in which the community’s children (and their teachers) “swim” everyday. That “bathtub” — the school district — is the holding space that serves as the container of supportive processes and practices that keep people throughout the system “afloat” as they perform their daily work. –and within which trust is the “water” that supports them – the medium that makes it possible to create and sustain over time the supportive relationships required to achieve their individual and collective purposes. 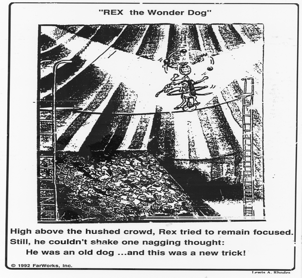 I’m one year older… and as that cartoon suggested… an “old dog” trying to learn “new tricks.” What were my old tricks, what did I learn from them, and what “new tricks” might help others also learn them? The resulting “map” of MCPS’ common natural “territory” then served as one way to understand the common why of what I was seeing, hearing and trying to make systemic sense of. As a diagnostic tool it was like a CTscan or MRI of a “whole elephant” that showed not just the outer skin and all its visible external “parts,” but at the same time the networks of (information-exchanging) connections beneath the surface that, by interconnecting all the “parts” (that the “Blind Men” are held individually accountable for) enable it to function, develop and survive as a whole. Over 12 years these “old tricks” generated significant take-away insights along the way about the processes of schooling and how to transform them. But now as I review their possible significance I find myself dissatisfied and wondering whether there are some “new tricks” I might use to make them more accessible? I’m frustrated. Especially after this year-end reflection on how far along we are in terms of Sabusense’s fundamental purpose to support re-thinking. I suppose I should be satisfied just playing Copernicus by offering a different mental “map” so that “someday” there will be a paradigm shift based on a different belief about the scope and nature of a “system” …that had been there all along. Or Galileo who offered a way of seeing the truth of Copernicus’ map without having to wait. But I’m not. Missed opportunities for action “today” are at the roots of the frustration. On an almost daily basis I read or hear about current struggles between well-meaning adults who originally entered education to make a difference for children …and still believe that in their efforts they have children’s interest at heart. …that causes all the problems! And, in fact, is much like the condition Copernicus faced, when the “ain’t true” knowledge dealt with a core truth about the center or aligning point for “connecting all the dots” among the parts of the “system” people at the time tried to make sense of. How could that still be a thinking problem? Well recently, centuries after both Billings and Copernicus, a physicist raised the question of whether “truth” really matters if, by accident, it sometimes works? “Now here’s the significance. The computer programs used by aeronautics engineers all work… by accident. They do not describe what actually takes place in terms of the aerodynamics of flight. ….In principle, all of this is pretty simple. How many times have all of us thought we understood what was going on in a particular social situation? We observed from a distance, fabricating a framework of reason that made perfect sense, based upon a lifetime of experience. We KNEW why a certain person was doing what they were doing. It was internally consistent. Someone else had even suggested the same reason. We had lots of experience to back up our reasoning. … Maybe significant chunks of what we believe, work… by accident. And if the external context changes, or we make new discoveries, we may have to quickly redesign our understanding of pieces of reality. But now there is new urgency to the challenge because at all levels of the society we seem caught up in a condition best characterized by the author Walker Percy as “an age of not knowing what to do.” And because the immediate conditions causing the major economic, international and social problems on the plates of leaders today were unthinkable less than a decade ago, “knowing what to do” today requires a capacity for thinking about the unthinkable. • Adding to this frustration have been some personal learnings the “old tricks” generated. In particular, since I’m still an “old dog” I’d like to focus my remaining energies on a role I seem do best – serve as a “thinking partner” to those have to respond to today’s urgencies. But, on what should I focus, and who needs to be engaged? At first I figured that Steven Covey’s advice should help me here. He noted that since all the problems, challenges, and opportunities we face fall into two areas, that’s where we should focus our time and energy: Our Circle of Concern (things over which we have little or no control) and our Circle of Influence (things we can do something about). But for me that creates a tension rather than a simple “either/or” choice. For a “big picture” thinker it’s hard to shrink my 20,000 Ft. Circle of Concern since that serves as context for the specific factors in my Circle of Influence that I want to do something about. That’s because when I focus my “big picture” lens on the on-the-ground needs of those dealing with every day’s “smaller picture,” it reveals that the fundamental problem limiting their daily effectiveness is a personal “big picture” deeply embedded in the thinking that shapes their actions. Schools not “designed for learning”… unthinkable. Teachers coming to work each day “knowing” that what is expected of them, and which they want to do, is “impossible” … unthinkable. • New tricks needed for a new medium. I’ve often been criticized for the nature of the ways I’ve communicated over the years (and many times still do) – too abstract, too directive, all head/no heart, very few personal stories, and “keep it simple, stupid.” Eventually, they force one to consider why. Having spent a career “pushing out” information through print, film and video where “space” and “time” provide boundaries that force editing decisions, I’ve been trying to learn how to use this virtual medium that lacks “those” limits, but has a more important one. • Bridges needed between Theory and Practice. Moreover, as a “big picture” thinker I seem to suffer from a dual disability. I noted in How was this site’s knowledge created? 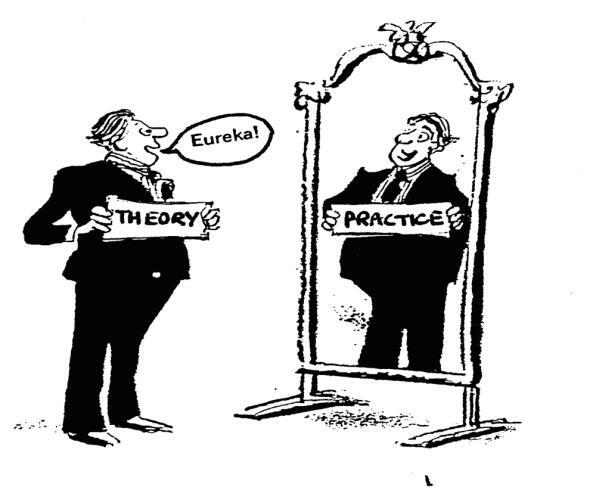 my work place has always been somewhere between theory and practice. On one side, I engaged with on-the-ground practitioners who knew I lacked the credentials and experience to be one of them, and at the same time, I had relationships with many of the academics and thinkers about that “ground” who may have known I lacked the credentials or degrees to be one of them. Nevertheless, over time, I was encouraged that some in both camps found the ideas meaningful regardless of my experience and “credentials.” In both workspaces I found that because my way-of-seeing and thinking had become my sense-making paradigm — my frame for understanding — I was perceived as a big picture person who primarily could add value to the thinking of those who had the time to think and re-think before they acted or urged others to act. It wasn’t until I had the opportunity over the past 12 years to be an embedded observer in the operational reality of a large school district– where every day is a Monday — that I could fully use this way of making sense to “see” and understand the continual interaction of theory and action, of method and mindset, and of will and way that most influences what happens to children every day. From that dual perspective I began to backmap the district’s “bridge-building” process by using the lens to track actual changes in the ways people think about schools and the work of schooling, their roles in it, and their beliefs in their own capacities to make a difference for children. And as I did that, I could observe and track the key role of the system’s leaders in building that learning process into the work. Most important, in terms of the needs of others who also manage Mondays and need to bridge that theory-practice gap, there was now a developing base of documented systemic results-producing processes and practices that create the dot-connecting “Ands” between a purposeful work organization and the purposeful people who do its work. How can the story of MCPS’ experiences developing the important “What’s” and “How’s” of integrated practice be told in the context of the “Why”-answering theories that served to align and make sense of their dot connecting? My “old trick” involved serving as a clone of Seymour Sarason’s famous Martian (Beam Me Up, Seymour) hovering 20,000 feet above a school who couldn’t understand what the creatures below him were saying, and therefore tried to understand what was going on just by observing their regular actions. It’s purpose: to raise questions for the reader – not just about why people would do things like that… but then, without thinking, regularly continue to do them? …and in ways that give an “old’ dog” the personal and professional flexibility that the old “push” media didn’t – i.e., the freedom to rant and rave… with an immediate capacity to link it to reasons justifying them (without going through academic formalities like footnotes, etc.) In fact, for those who might question the validity of my future rantings and ravings, I’ll refer them to this posting to find the reasons. 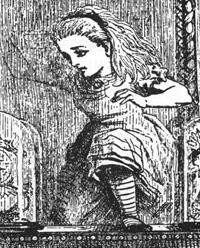 Several of the “new tricks“ will use Alice’s Looking Glass to generate shorter, more frequent, and more timely blog postings. These will be linked to ”longer” “20,000 ft. Memos that capture the “big picture” consequences and will be in appropriate areas on the home page. Some proposed examples. I’m a big fan and occasional contributor to the weekly national publication, Education Week. (In fact they included something I wrote in their 25th anniversary publication “The Last Word:” The Best Commentary and Controversy in American Education.”) I’m also a fan of the Washington Post’s two education bloggers who struggle weekly to make sense many times of the same educational conditions, but from differing perspectives. (see Making Sense of “Nonsense”). That’s why the problems being posed and the solutions being offered can’t in the end have their intended effects. And why over the past decades the problems ailing our schools and the ideas for fixing them haven’t really changed. The controversies go on… and whatever “works,” apparently doesn’t for long. For my own immediate frustration-relieving psychological health therefore, I’m going to offer, via periodic postings, a different perspective on the current news in education as viewed through Alice’s Looking Glass… and use it to raise different questions that might stimulate re-thinking. A 2nd “new trick” — an occasional series of blog postings under the heading – Barking Dogs… not being heard — also will focus on asking different questions – but this time on the ones we strangely don’t ask. 1) there is a “fact not in evidence” — something missing in the way we understand the “problem”— that’s keeping us from making sense of it’s most critical factors. 3) offer examples of how the scope and nature of the problem changes when it is factored in. The intention, as noted at the top of the home page, is to offer a different way-of-thinking based on that view to serve as an alternative “box” within which to “connect-the-dots.” Then within it, raise the questions “not being asked,” and point to where the answers might be found in the experiences of MCPS and others . Our major challenge in this series of postings differs from Holmes’ whose solution addressed only why a “dog” wasn’t barking. Today the “dogs” are, and have been barking for a long time… but are not heard …and few are asking why we don’t (or can’t) hear them. One early posting in this series will raise questions about Bill Gates current approach to “reform” by pointing out the “barking dog” that he isn’t hearing in his well-funded, well-intended, — but guaranteed to fail in its intended purpose — approach to systemic improvement. I always look for one of those “YOU are HERE!” signs with their red arrows when I’m in strange place because it at least gives me a better chance to see where I am in the context of where I want to go, and what my possibilities might be for getting there. These thought experiments will offer ways to extract “full meanings” from the present territory “at this end of the tunnel” where each day’s journey must start. Many of the answers that researchers have been trying to capture, and which current policy makers need, are still embedded in the MCPS staff’s and community’s collective wisdom. What role can this site play in surfacing that collective wisdom before it erodes? How can it be used to raise the questions that will tap their unique experience-based knowledge of what’s involved in functioning systemically? — how to develop a supporting scaffold over the district’s work that enables a community of learners to simultaneously function as a learning community. One final 20,000 Ft. reflection… No pain… no gain! And I realize now even more how much I owe my pain to two culture-busting organizations that have given me the supportive encouragement to initiate and continue to develop Sabusense. One, the Plexus Institute, whose mission is to foster the health of individuals, families, communities, organizations, and our natural environment by helping people understand and use the common “simple rules” emerging from the new science of complexity. supported by Pratt & Whitney Rocketdyne, that believes that “inthinking,” — thinking about thinking— can allow people to better perceive relationships and interdependencies in human endeavors, and consequently act to make those endeavors more valuable, more satisfying, and more joyful. I guess it’s true: No pain… no gain! Posted: March 7th, 2011 under About this site. I’m always a little jarred when I see an obituary for someone I’ve known, but several weeks ago when I saw Jule Sugarman’s it was different. For the 3rd time in my life I found myself reflecting on my experiences with someone who provided an experiential classroom from which I took away significant learnings. He taught me how to care. The complementary understandings these three helped develop began to drive my journey through theory and practice whose products are integral to the nature and content of this Sabusense website. Two of these teachers consciously played the teacher’s role – W. Edwards Deming and Seymour Sarason. But Jule Sugarman was a do-er and creator — maybe best known as the original architect of Lyndon Johnson’s Headstart. Deming provided a way for me to see the “box” people struggle to “think outside of;” Sarason, a way to understand and “connect the dots” within it; and Sugarman with a way to get my hands around, and make manageable, what the others enabled me to get my mind around. In “The Impact of Deming’s Legacy” I acknowledged taking away a different mental “map” for understanding the reality of people in organizations. As I reflected now on my relationship with Jule Sugarman, I saw a synergy among the three I hadn’t recognized before. • Sugarman had helped me drill down to a focal point exposing the fundamental purpose and nature of the work. As a tribute, I’d like to tell that story here. Two takeaways from that meeting seeded the way-of-thinking I’ve carried with me ever since and have shaped the way-of-“seeing” I used to capture the experiences of the MCPS for the past 12 years. • This ah-ha (for me) was followed later by the recognition that “caring” is an information-based process. It’s hard to care about, or care for, someone you know little about. You need “information” – both objective… and the subjective kind that usually develops from regular interactions with that person. • This started me asking a different question. How could we use these new information technologies to inform the interactions of the teaching process so that people who care about a child can know that child? Not just to know them in terms of the differences test results portray, but to know them in terms of the individual range of assets they bring to the teaching/learning interactions? It also enabled me to connect-the-dots when I later encountered the information-driven principles of cognitive biology that are embedded in this site’s way-of-thinking and seeing. So, thanks, Jule… sorry it took so long to remember how much I owe you. Posted: January 10th, 2011 under Understanding the System.